This dataset comprises validated species records with a sample/sighting date earlier than 1st January, 2000, as received and collated by Gloucestershire Centre for Environmental Records (GCER). This replaces the pre-2000 records of our previous historic dataset. The records cover all the groups recorded in the county, including vascular and lower plants, fungi and lichens, birds and animals. See the "Additional Information" section for details of records which have NOT been included. In general, public viewers may see these records as a 1km distribution map where the resolution of the original records allows. Zero abundance records are not included. Some records are only available at a lower resolution, e.g. tetrad records (2km x 2km). Unvalidated, ad hoc, "negative" (i.e. zero abundance), known doubtful and purely anecdotal records are not included. 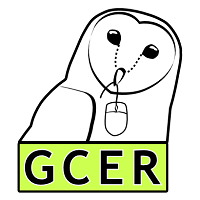 See the "Additional Information" section for details of datasets held by GCER which have NOT been included in this upload because they are already available on the NBN Gateway via another data provider. The uploaded data includes some additional attributes such as system codes. These are for use by GCER and national conservation agencies. The records all relate to the administrative county of Gloucestershire unless they relate to a site overlapping the border, in which case there may be some "stray" records near the borders with Wiltshire, Oxfordshire, Warwickshire, Worcestershire, Herefordshire, Monmouthshire, and South Gloucestershire. Such records will generally relate to sightings within 1km of the Gloucestershire border. Note that "South Gloucestershire" does not lie within the administrative county of Gloucestershire: it is a separate Unitary Authority. For records relating to South Gloucestershire please refer to the datasets provided by Bristol Regional Environmental Records Centre (BRERC). The purpose for capture of the original species records varies depending on the provenance. Some records are "casual" sightings as reported to Gloucestershire Wildlife Trust or to GCER; others are derived from County Recorders' datasets, or systematic surveys e.g. for water vole tracking or the compilation of a Flora. The data are uploaded as an aggregate of sources, in order to give the best possible picture of species distribution. Medium. All records are checked as they are entered, and again after entry, and the majority have come from expert determiners such as County Recorders or other experienced naturalists. Note, however, that some records date from sources which didn't have current standards of biological recording, including old record cards and documents which have had to go through a translation process from paper to computerised records. Interpretation of handwritten records can introduce errors. An effort has been made to remove an doubtful records wherever possible. Users should bear in mind that, whilst it is possible to validate records as to species name, broad geographic location, date type and expected species distribution, no Local Records Centre can verify all sightings as true. We rely on both the honesty and accuracy of recorders, but cannot rule out instances of either deliberate or accidental mis-identification. Given the high levels of checking both before and after record-entry, and the frequent use of expert determiners, we are confident that such records will be minimal and unlikely to affect the integrity of the dataset as a whole. The original Recorder 6 report was exported using the NBN Export Format Addin, which runs basic validation checks prior to writing the export. Of the records successfully exported, a small proportion failed the NBN Record Cleaner check, all due to "Unknown Taxon Verson Key". As this is an internal dictionary problem rather than an error with the records themselves, those records cannot be updated by GCER at this stage. Users should bear in mind that such records will be missing from our dataset on the NBN until suitable dictionary upgrades have taken place. Apart from this factor, all the records in this dataset have passed the NBN Record Cleaner validation. Various, depending on the survey methods involved. Records in this dataset are predominantly field sightings, but also include bat detector records, systematic trapping surveys eg. for birds or great crested newts, and occasional records of dead animals, or parts, signs, droppings or pellets. The majority of the data has been collated from records which have already been entered onto an electronic database or spreadsheet, e.g. a MapMapmate import. Less frequently, records will have been typed in from handwritten cards or survey notes. Some records are from online sources. All sources of records are checked before entry onto our main database (Recorder 6), and double-checked to ensure the data entry was correct. Click to view records for the Gloucestershire Historic Wildlife Sightings prior to 1st Jan 2000 resource.